The economics of selling lambs at weaning or finishing them out is heavily influenced by the cost of feed. 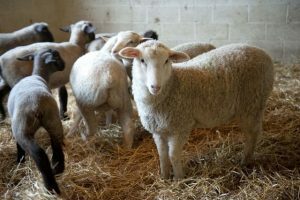 Assuming at your facility, you have the option of selling lightweight weaned lambs or finishing them, let us compare the two scenarios. Feed prices may vary considerably and a recent check with local dealers revealed a range in cost for 14-16 % crude protein grower/finisher feed of $136.40 – $207.00 per ton. Prices will vary throughout the area and it is possible to custom blend your own recipe even cheaper. However, the process for comparing the economics of finishing is the same. In this example, we will evaluate finishing cost based on the commercial feed price ranges previously mentioned. 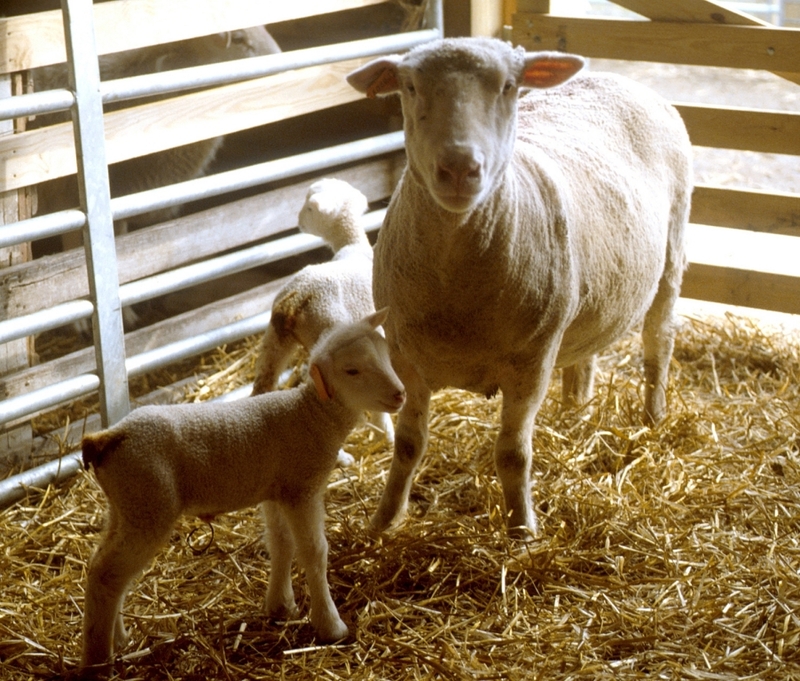 Utilizing the following, we will apply projected cost per lamb: lambs grown from 68 lbs. to 110 lbs., 42 lbs. of gain, average daily gain ½ lb. per day, 5 lbs. of feed per lb. of gain. Length of finishing phase is 84 days. 42 lbs. of grain X 5 lbs. of feed per lb. of gain = 210 lbs. of feed needed. Above we can see the difference in cost to finish this lamb utilizing two different feed costs. Death loss is a risk associated with finishing lambs and not accounted for here. Other important considerations such as the use of an ionophores and/or pelleted feed may increase feed efficiency. For our example, it is close. You pick what you think your weaned lambs are worth. I will use for comparison purposes our average local market prices for a 68 lb. lamb, which are currently $1.61 per lb. Selling that lamb now at our production cost above: 68 lbs. X $1.61 = $109.48. Assuming the same ewe cost, check off, marketing cost, health cost and only ½ the labor cost, total cost is $48.90 with a potential profit of $60.58. Comparatively, if we sell a 110 lb. lamb at $1.25 per lb., the lamb will bring $137.50 – the finishing cost of $72.35 for a potential profit of $65.15. In this example, the extra profit for finishing these lambs was $4.57 per lamb utilizing the cheapest feed in our example. Knowing your cost is critical to evaluating profitability scenarios. Farm cost of production, feed costs, and capabilities vary; but the process of arriving at logical economic decisions is relatively the same. Evaluate your options wisely; it can make a difference in the bottom line. Posted by Braden Campbell at 9:08am January 4, 2019 Posted in Economics, Marketing and tagged Economics, Marketing. Bookmark the permalink.